Reinforcements Coming for the World of Tanks Cobi Line! As you may recall, a couple of months ago the World of Tanks Cobi line launched, featuring many of your favourite in-game tanks including, but not limited to the Hetzer, Cromwell and KV-2. Well, we're pleased to announce some reinforcements will soon be hitting the Cobi store, in the form of 7 new tanks! See, we told you Uncle Sam would be represented! 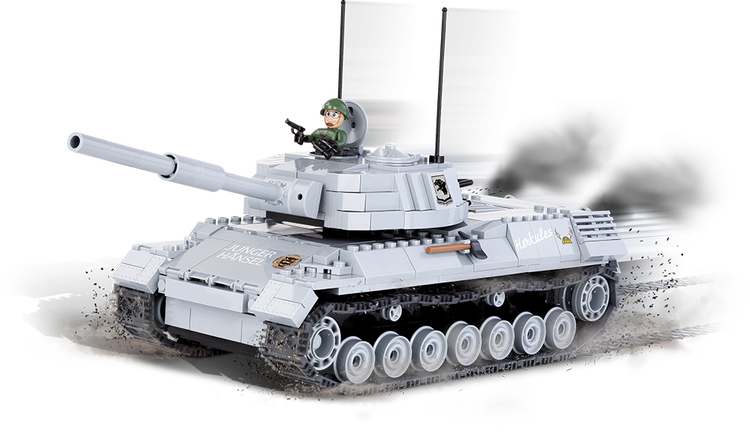 Each set features the tank (not built, obviously! ), stickers with emblems & inscriptions taken from the game and in-game goods for World of Tanks on PC! At the moment, the range is available from the official Cobi online store (they ship within the EU) and in retail stores across Europe!